Double click the cisco vpn client. Once the client is up, right click on the entry that shows up and click on 'modify'. You will see this screen below. 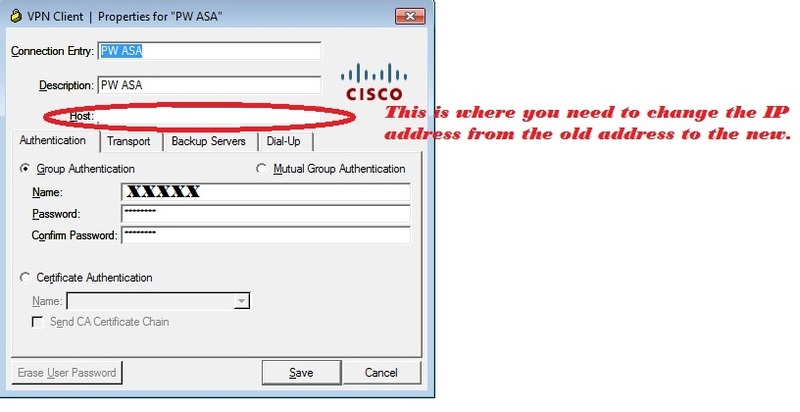 Change to the new IP where circled.